On wet well working, the importance of having a fully trained rescue team on hand cannot be stressed strongly enough. The team provides an extended safety window, when waste water operatives are working in hazardous confined spaces on wet wells and sewers, providing essential backup that dovetails with front line Emergency Services. The flexibility of controlling this essential resource, is one of the key reasons why confined spaces rescue service IWJS Rescue has been set up by IWJS Ltd, one of the UK’s leading waste water management companies. Positioned to provide essential fast response cover in situations requiring a safety team to be close at hand. Trained to protect employees and contractors, they ensure that work is conducted in the safest possible manner, when managing confined spaces entry and provide essential safety backup should an emergency event arise. With the assurance that IWJS Rescue will be there to respond swiftly to implement emergency rescue procedures for the safe extraction of personnel when necessary. 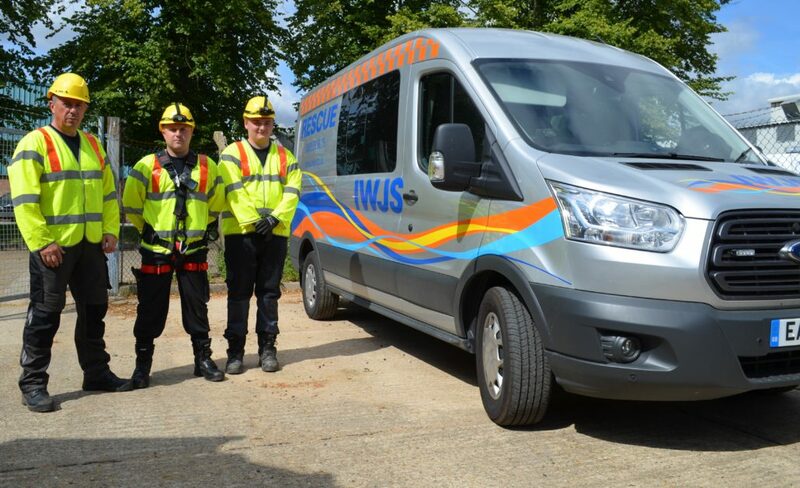 The team of trained rescue specialists at IWJS Rescue has a wealth of knowledge and experience in the waste water management sector involving safety. 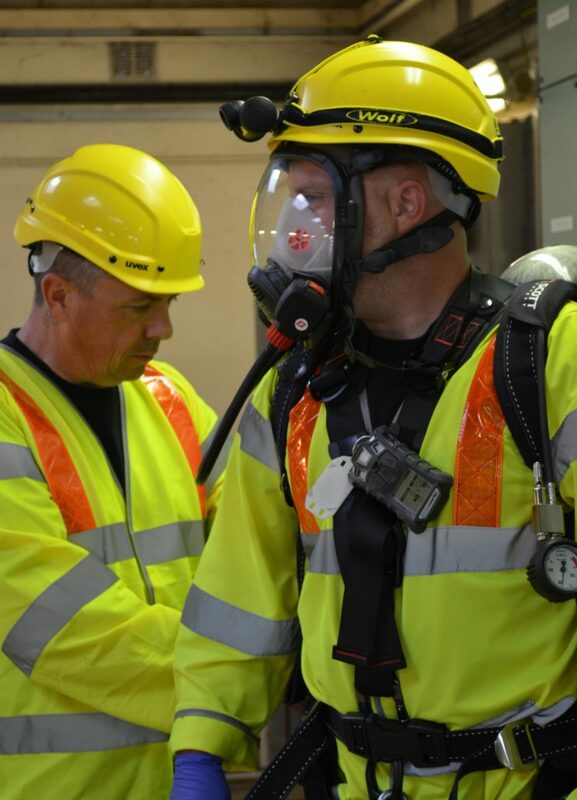 City and Guilds qualified and trained to the highest standard by professionals within the health and safety training sector experienced in training the rescue services, to hone key rescue skills to effectively provide first response emergency cover on site, when it’s needed quickly. 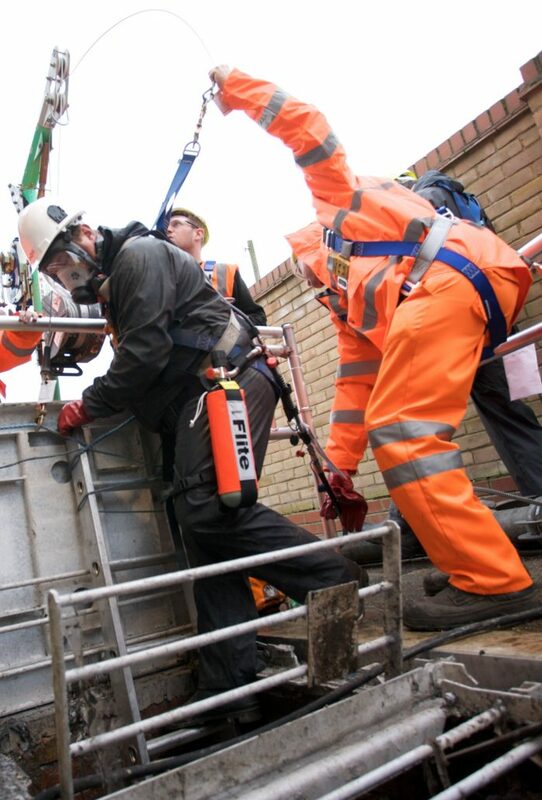 IWJS Rescue technicians are fully trained to provide technical rescue provision when the situation requires this. 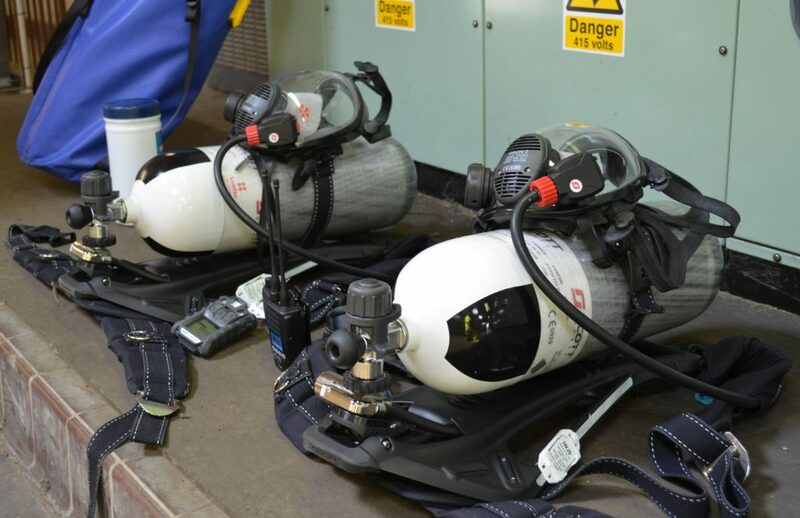 Fully equipped for confined spaces emergency rescue with the latest equipment, the rescue service is there to provide essential technical support for any safety and rescue issues that may arise. Whether it is a technical or more complex rescue scenario or simply a solution to the right PPE to be worn by a site operative, the fitting of breathing apparatus equipment or checking the safety of the access position, IWJS Rescue is fully equipped to provide the essential cover needed. IWJS Rescue has an extensive internal verification framework for front line health and safety operatives to assess their continued competence and knowledge. Accurate records are maintained to record their attained qualifications, alongside the other ongoing personal development they will receive. Initially based within East Anglia, IWJS Rescue will eventually roll out long term across the UK to provide standard 3 person teams or larger set ups as required regionally. With the ability to provide cover from minor works of a single day, up to much more complex projects lasting several months at a time within the water utilities sector. Working day or night providing essential 24/7 safety backup, IWJS Rescue teams are totally self-contained. With the flexibility to provide cover primarily within the waste water management sector in a host of situations such as wet well safety cover. The teams will offer a coordinated and effective approach to on-site safety and first response rescue provision where required. Ready to respond, with a purpose designed vehicle fully equipped with rescue and first aid equipment, enabling them to manage the most complex scenarios in challenging confined spaces entry work environments. In what is envisaged to be a national fleet of rescue vehicles strategically based by IWJS Rescue regionally across the UK.